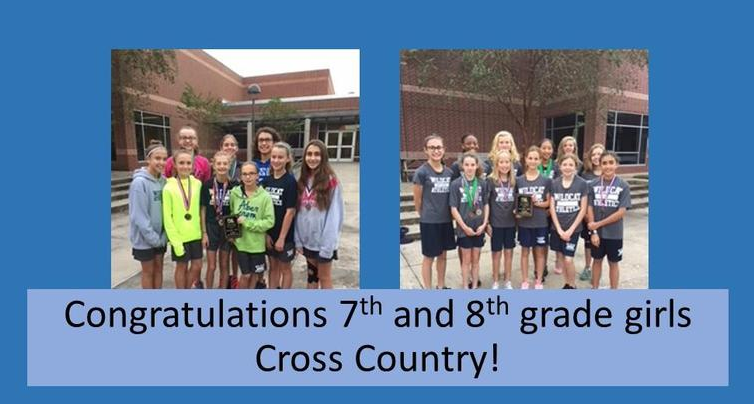 Congratulations to the 7th Grade Girls for bringing home the 2018 District Title!!! Congratulations to the 8th Grade Girls for taking 2nd place this year in the district meet. Please bring your physical and all other paperwork needed to me during meet the teacher/ schedule pick up. If you had your physical exam completed at TMHS please still make time to come visit. I have to verify eligibility before tryouts. All Athletes must have a current physical on file with the school before tryouts. Any students with a history of Asthma must bring an inhaler to tryouts. A Completed Permission to Carry Form and Asthma Action Plan signed by a doctor, and dated after May 1, 2019, must be on file with the School Nurse before tryouts. For all other information check out the WWJH CC webpage. For those students that are interested in running next year, please start trying to run 3 to 4 days a week for 20 to 30 minutes each time. The course all JH Athletes run will be 2 miles. Boys need to be under 17 mins and Girls need to be under 18 mins. To be very competitive Boys need to be sub 15 and girls need to be sub 16 minutes. I will have more accurate dates coming in the Spring.